Please choose oneStandard XL 3.75"-4"
Select one from our 32 colors! 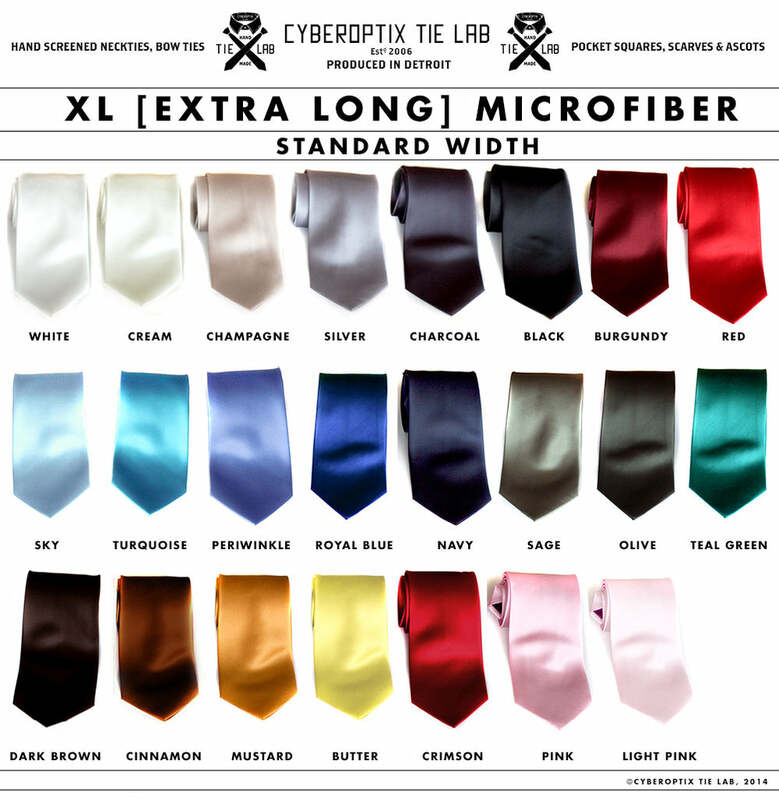 Yes, this is where you order up customized extra long, aka "big and tall" XL wedding neckties! Up to 30% off depending on quantity! You can build an extra long necktie in the perfect color and design combination that will coordinate with the rest of your wedding party. Discounts apply to the same printing ink color and same design, but feel free to mix fabric colors! If you pick the same color and ink but different designs, each of the ties will be the full price of $41 even if you order 20 of them and we'll send you an invoice for the balance. It stinks that big and tall ties are so hard to find. We're here to change that. Every one of our designs can go on an XL tie! You can see all possible tie graphics right here. Any questions about what design and print colors work best, please don't hesitate to contact us! Need a refresher on color? See our extra long color chart again right here.